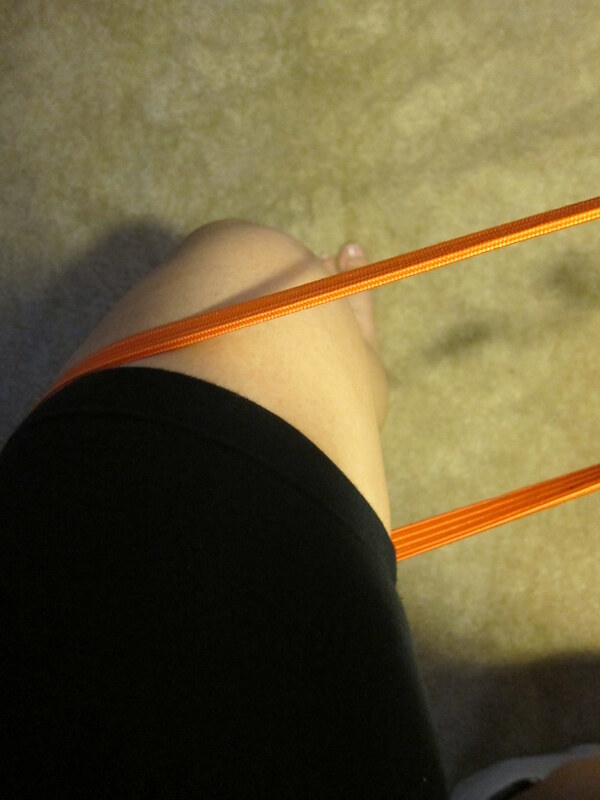 After the Green Girl's last appointment with Dr. Sebastian Gonzales from P3 Sports Care, she tried to figure out a way to do the knee exercises without having to go out and purchase a resistance band. I experimented with some elastic things in my apartment but they didn't offer enough resistance to do the exercise properly. I finally realized a bungee cord would do the trick. I'm a highly utilitarian Green Girl so I keep items like bungee cords in the truck of my car. 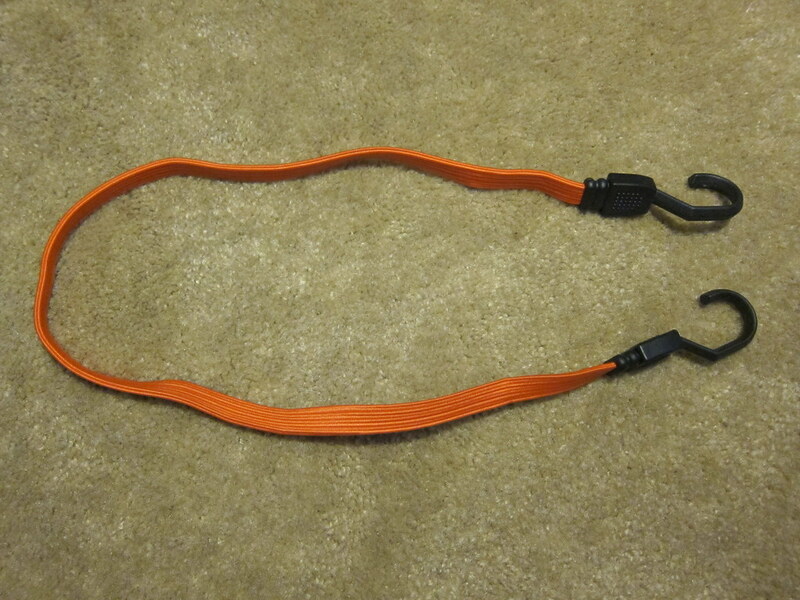 I hooked the ends of a 36" bungee cord and looped it around my bookshelf. Then I slid my left thigh through. 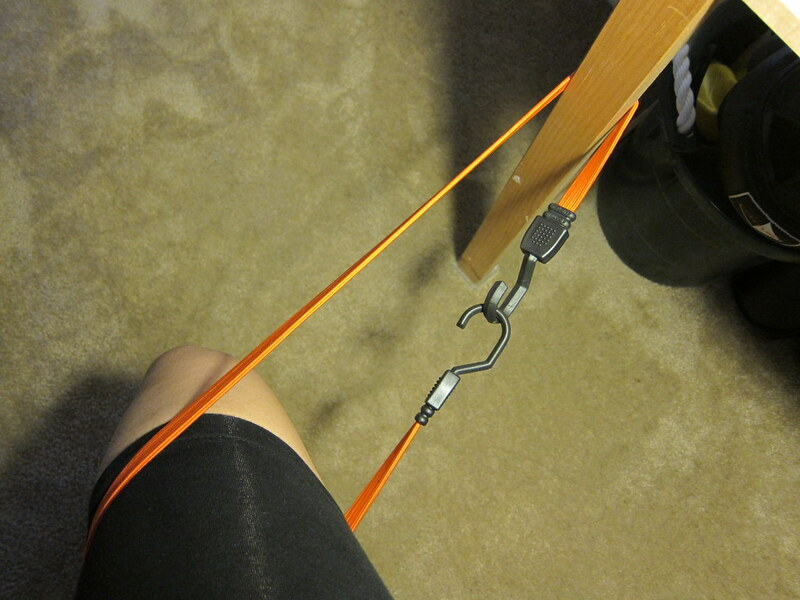 I positioned myself with the left side of my body closest to the bookshelf so that the bungee elastic band would actually pull in the same direction my knee likes to go. I stood with my left leg straight and my right leg slightly bent with my right foot behind me. I slowly started doing one-legged squats with only my left leg. The first few iterations, my knee was going in and I could not see my left foot. I slowly repeated the exercise. Instead of moving further inwards, my knee did eventually started to resist and after a few squats, it was noticeably straighter. It was almost like magic. It's amazing what a little resistance can do for a Green Girl. Dr. Gonzales recommended I do this exercise once a day to help reprogram my leg to bend properly. looks pretty cool - you need to patent that! Thanks for the well-wishes for my race! You are always so resourceful! That is awesome! I love bungee cords. That is really cool! Always nice to save some money. How industrious of you! Very impressive. 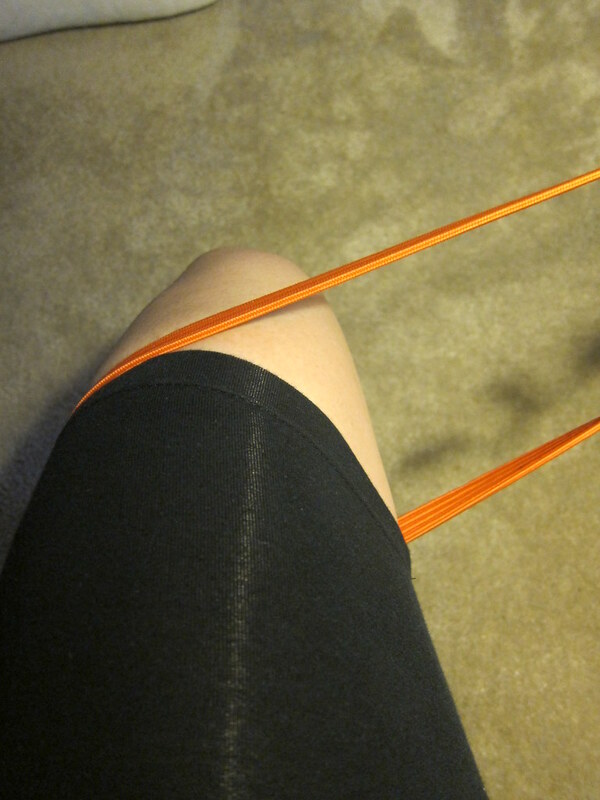 I've been doing some resistance band workouts as well for my knees. Seems to be helping. Best of luck!